On 22 August 2015, CASA reached a significant milestone - our 50th Show! This time we moved to a new venue, due to the unavailability of our traditional show hall. We were pleasantly surprised by the large, clean and light hall, with ample parking and a large number of the public visiting to see the cats. Cages were decorated according to the theme 50th show and those exhibitors who decorated their cages really pulled out all the stops. Every cage should have won a prize. The hall was beautifully decorated with lovely indigenous wildflower arrangements by Vi le Roux. Hills & Cats Best generously sponsored the prizes. The Hills Representative was present throughout the day and had a lovely table, displaying the various product Hills has to offer and all the goodies available to the Breeders Club members. 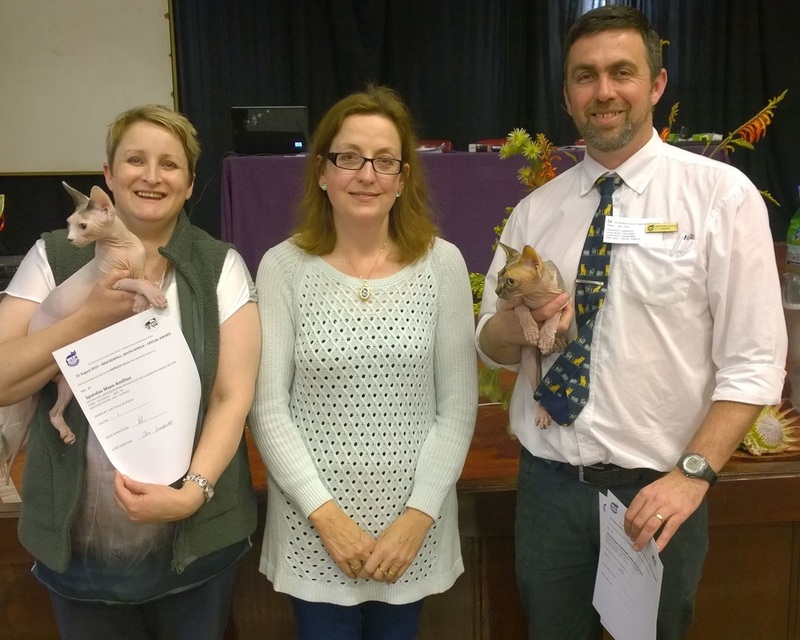 Judges were mostly from Cape Town and we celebrated our 50th show with two International judges - Pam de la Bar, CFA judge from the USA and Satu Hamalainen, Fife judge from Finland. 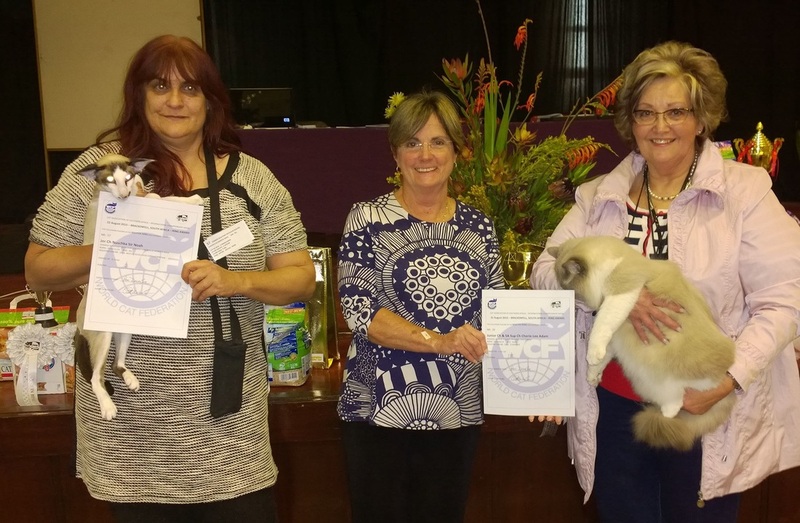 The 50th show was also the event where CASA staged the first ever WCF Master Ring in Africa. This was judged by Pam de la Bar, in her flamboyant style and watched with great interest by all. The 50th celebrations included a free buffet lunch for all exhibitors and officials, as well as a glass of bubbly. The day was ended by an informal dinner at our favourite restaurant - CASA (of course) at Willow Bridge in Bellville. Slide Show of Photographs provided by Ossama Ayyoub.